It was a cold June day in Devonport two years ago when police intercepted a Mazda MX6 bound for Melbourne. The car had been booked under the name Jason Steel, an associate of Paul Abraham and Todd Michael Walker, who police said was the sergeant-at-arms of the Bandidos outlaw motorcycle gang's nearby Mersey River chapter. Police believe Abraham is a Bandidos associate while Mr Steel is not connected to the gang. Inside that car, investigators would find a powerful Glock 9mm pistol, as well as ammunition. The gun was hidden behind the panel of the front passenger door. The find was the result of a complex, weeks-long operation involving several arms of law enforcement as part of the National Anti-Gang Strategy. Tasmania Police said the Bandidos gang was muscling in to the state's north-west. In November last year, about 200 members rolled through the region as part of the group's national run. Western District Police Commander Jonathan Higgins, who has 13 years of experience as an investigator, said he was very concerned by the growing presence of the gang in Tasmania. "It really demonstrates the propensity the groups have to be involved in serious crime," he said. "Trafficking a Glock pistol with ammunition is not a minor thing, it's a significant thing. A 9mm pistol is a semi-automatic pistol." Commander Higgins said Walker's gun trafficking crime was committed during the start-up phase of the Bandido's Mersey River Chapter in Devonport and the gang's entry into Tasmania. Investigators said this was just the tip of a much bigger iceberg, with the gang now taking steps to control Tasmania's drug trade. The ABC does not suggest Walker is part of this effort by the gang. The Bandidos repeatedly denied taking part in the drug trade, but it was a denial that investigators and drug dealers agreed was bogus. On the condition of anonymity, several drug dealers in the region told the ABC they now had working relationships with Bandidos members. Though for some, it was not so much a choice but the reality that they needed to work with the gang or face threats of violence if they did not. 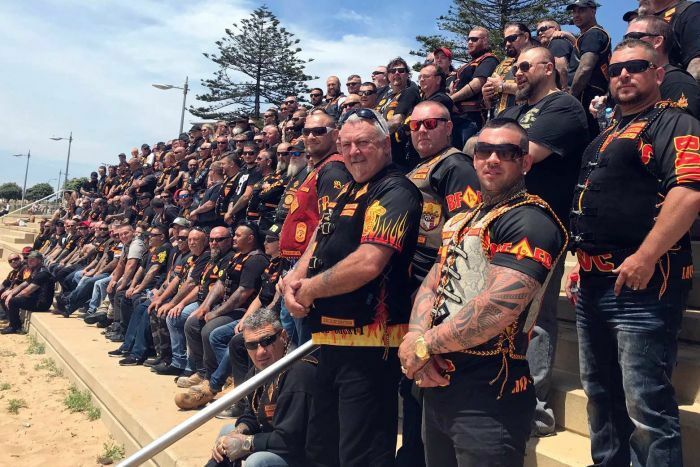 Commander Higgins said the growing presence of the Bandidos over the past couple of years was creating a power structure to organise the sale of illicit drugs. "We are concerned that the Bandidos OMCG in north-west Tasmania have made steps to control illicit drug distribution by intimidating local drug dealers into working with them," he said. These dealers are using encrypted technology to avoid the prying eyes of investigators, and spoke to the ABC earlier this year about their trade. The Burnie and Devonport waterfronts have long been suspected as key conduits for illicit drugs as well as other criminal transactions. Commander Higgins said the region was a key entry point for illegal goods and this may explain the gang's interest in establishing a foothold. "It's another avenue for drugs to be brought into the state — it's another distribution network," Commander Higgins said. Commander Higgins said the Bandido's Devonport chapter was particularly dangerous. "They appear more willing to evade police, be involved in more serious crime … standing over people that would be drug dealers as well," he said. In Burnie Supreme Court on Tuesday, Walker was sentenced to 12 months' prison for facilitating the sale of the Glock for $9,000. Authorities pointed to his conviction as an indication that criminals would be charged, arrested and prosecuted. Walker was netted as part of Operation Juggernaut, which saw involvement from the Australian Federal Police, the Australian Criminal Intelligence Commission and local investigators. It involved physical and electronic surveillance and was sparked by intelligence suggesting Walker would be hoping to sell a gun. 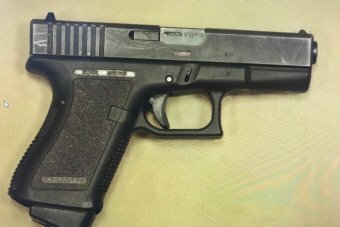 In a series of intercepted exchanges between Walker and Abraham, who was buying the gun on behalf of a friend in Victoria, Walker said the Glock would cost "ten flat in cash, today if possible". Abraham later replied: "I got another two [grand] and can get another two tomorrow … I got another 15 [hundred] for you mate." Abraham paid Walker $9,000 in instalments and called to book a journey on the Spirit of Tasmania for June 10, 2016. The associate then drove a Mazda MX6 with the weapon hidden inside to the ferry where investigators intercepted the vehicle and towed it to Devonport Police station. Walker will be eligible for parole in six months. Abraham received a suspended sentence of eight months and 140 hours of community service. Commander Higgins welcomed the prosecution. 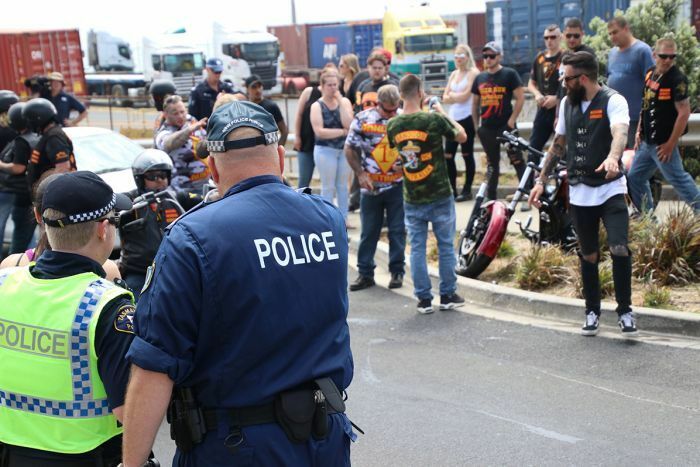 "What this shows is that we are carefully watching the activities of the bikie gangs, and will continue to make sure illegal activity has no place in Tasmania," he said. Walker hugged his partner as he was taken from the dock by armed guard. The ABC does not suggest Walker is a drug dealer or part of Tasmania's drug trade.